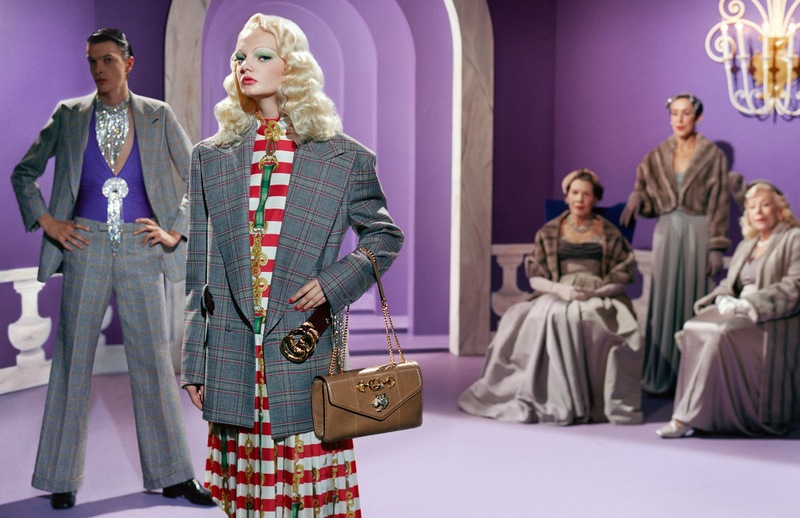 Campaign season is in full swing, and Gucci are throwing it way back with a grandiose celebration of old Hollywood and the roots of celebrity culture. Gucci treats us to uniform tap dancers, floor length ball gowns, fur (faux, of course) and headpieces befitting only the original silver screen sirens. 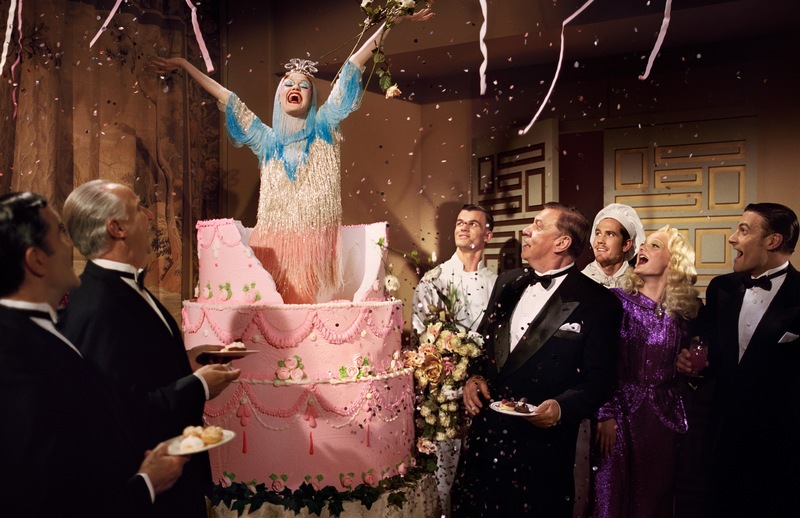 Accompanying the lavish campaign images, are black and white styled headshots and a short film playing homage to the era featuring an army of models dipped in Gucci singing and dancing to Irving Berlin’s “There’s No Business Like Show Business”, proving that the only way to up the glam of the ‘40s is with Gucci, Gucci, Gucci. Gentlemen Prefer Blondes: © 2019 Twentieth Century Fox Film Corporation. There’s No Business Like Show Business: © 2019 Twentieth Century Fox Film Corporation. Cover Girl: © 2019 Columbia Pictures Industries, Inc. All Rights Reserved. “There’s No Business Like Show Business” by Irvin Berlin, © Berlin Irving Music Corp.